The special day happened to be the warmest December 17th on record… quite fitting for the talk and the cover of the accompanying booklet (with people sitting on an terrace a cold Fall evening in Gothenburg under so-called ‘space heaters’). If you want to receive the booklet containing the accompanying text to the lecture then send an email to office.ecs@wur.nl with unreasonable doubt in the ‘subject’ and put your name and address in the body of the message and we will post you one. Here you can see the entire ceremony which starts at minute 9 with an introduction by our Vice-Chancellor (Rector Magnificus) Arthur Mol and with me starting the speech (battling the flu but hanging in there – I think/hope) at minute 15. Sometimes the animations I used do not fly-in on WURTV for some reason but fortunately they did in the auditorium). But it’s of good quality and you can advance the timer if you wish to. In short the new Chair in transformative learning for socio-ecological sustainability explores three important questions: 1) What sustain’abilities’ and responsibilities we need to develop in learners? 2) What learning spaces or ecologies of learning are most suitable in developing those abilities? and 3) How can the cultivation of these abilities, responsibilities and spaces be designed and supported? In other words, the main focus of the chair lies on understanding, designing and supporting learning processes that can help citizens understand complex socio-ecological issues through meaningful engagement and interactions with and within the social, physical and virtual realities of which people are part and the development of the capacities they need to contribute to their resolution. The addition of ‘socio-ecological’ to sustainability is intentional, as much work done on sustainability nowadays tends to focus on economic sustainability, often without people and planet in mind. In a way sustainability has lost its transformative edge ‘sustainability’ during the last decade as the much of the private sector embraced it as a marketing opportunity. 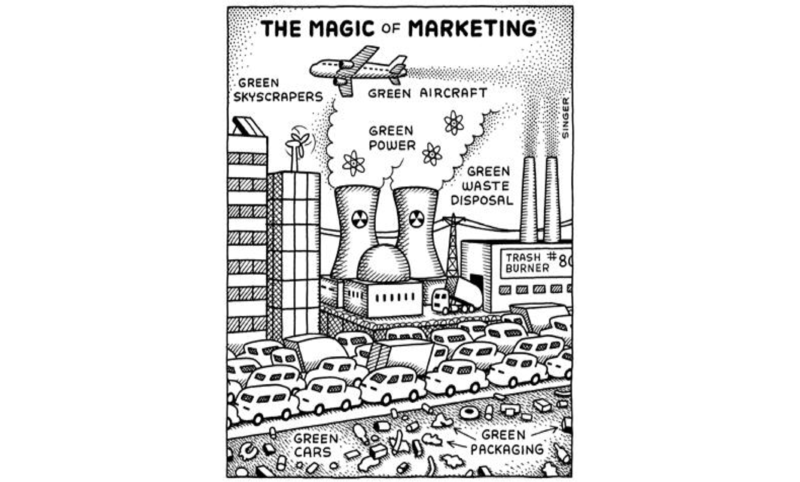 Adrian Parr (2009) even suggests that sustainability has been hijacked and neutered. While economics inevitably is part of the sustainability puzzle, the need to (re)turn to the ecological boundaries in which we have to learn to live together, as well as to the well-being and meaning of life issues for all, has prompted me to make the social-ecological more prominent in the description of this Chair. Therefore, I am particularly interested in understanding and supporting forms of learning that can lead to the engagement of seemingly unrelated actors and organizations in making new knowledge and in taking the actions necessary to address socio-ecological challenges. Note 1: The booklet containing the inaugural address will be posted to you for free (as long as supplies last) when you email office.ecs@wur.nl with “Unreasonable doubt” in the subject area and your name and postal address in the body of the text). Re-orienting, re-connecting and re-imagining – learning for sustainability in times of accelerating change goes open-access! The book can be ordered at a discount when going to ‘books’ in the menu bar on top of this page. Just in time for Rio +20 we were able to finish a wonderful book project that involved many authors from four continents. 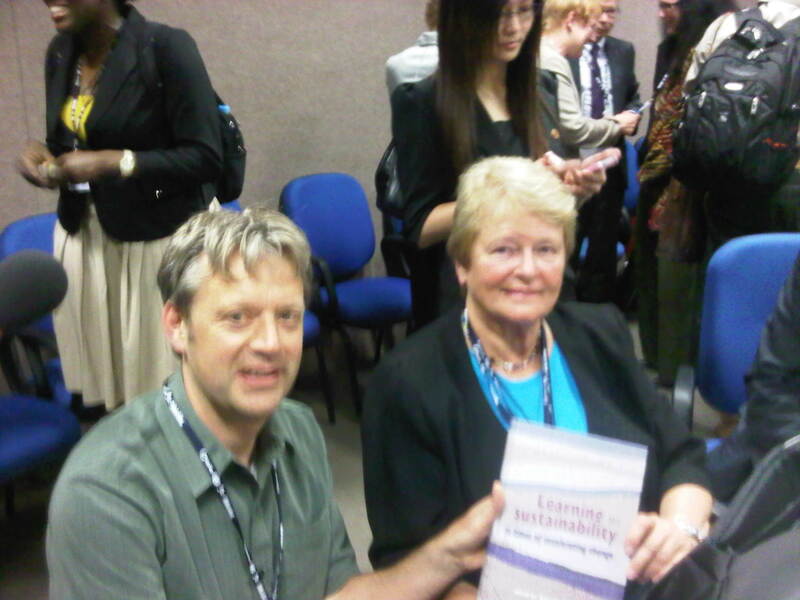 The book, learning for sustainability in times of accelerating change, was presented at Rio +20 to former Norwegian Prime Minister and Chair of the infamous Brundtland Commission which made a first attempt to define “Sustainable Development” in the 1987 report “Our Common Future”. Former Norwegian Prime Minister Gro Harlem Brundtland receives the first copy at Rio +20. Brundtland Chaired the World Commission on Environment and Development (WCED) that wrote “Our Common Future”, a report that introduced the term “sustainable development” well before the first Earth Summit was held in 1992. We are living in times of incertitude, complexity, and contestation, but also of connectivity, responsibility, and new opportunities. This book analyses the consequences of these times for learning in formal, non-formal, and informal education. It explores the possibilities offered by the concept of sustainability as a central category of a holistic paradigm which harmonizes human beings with Earth. To change people and to change the world are interdependent processes—this book contributes to both. (Moacir Gadotti, Director of Paulo Freire Institute, São Paulo, Brazil). 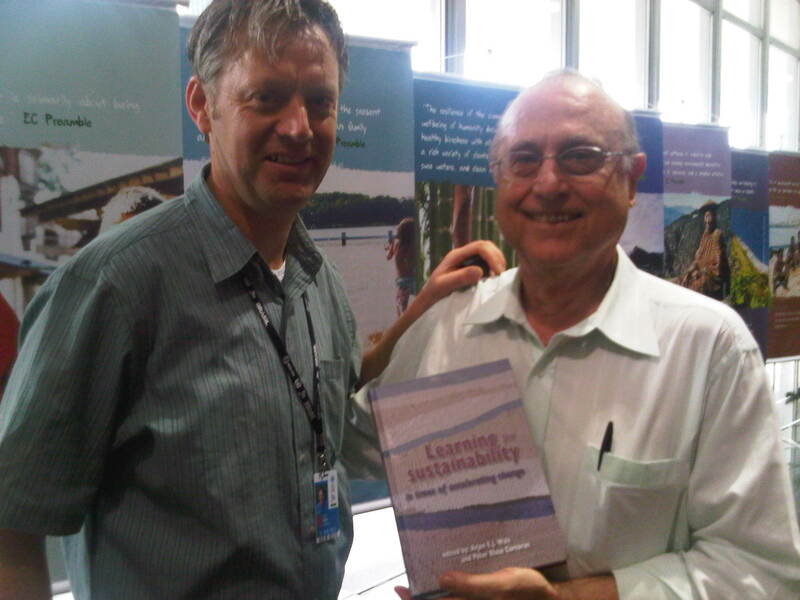 I hope you share my excitement about the innovations for sustainability that this book catalogues and analyses. While the ecological news is grim, the human news is not. Even in a time of accelerating change, people are showing their enormous capacities to learn, adapt, restore and protect. (From the Foreword by Juliet Schor, author of True Wealth: how and why millions of Americans are creating a time-rich, ecologically-light, small-scale high-satisfaction economy). Instead of educational thinking and practice that tacitly assumes that the future is some kind of linear extension of the past, we need anticipative education, recognising the new conditions and discontinuities which face present generations, let alone future ones… This implies a ‘culture of critical commitment’ in educational thinking and practice – engaged enough to make a real difference to social-ecological resilience and sustainability but reflexively critical enough to learn constantly from experience and to keep options open in working for a sustainability transformation. (From the Afterword by Stephen Sterling, Professor of Sustainability Education, Centre for Sustainable Futures, Plymouth University, United Kingdom). In the coming months this blog will be used to share some main ideas expressed by the authors that are a part of this volume.